When you develop a definite plan of action with well-timed, well-informed steps, you can stop the foreclosure process and save your home. We have outlined the foreclosure process for the state of North Carolina. 2. By conducting an out-of-court foreclosure sale under the terms of a power of sale clause in a deed of trust. In the event the lender elects to foreclose by filing a lawsuit, it will try to get a default judgment. Once the lender gets a judgment, the court clerks for the Superior Court have the power of the judge to appoint commissioners to make the foreclosure sale, receive the reports on the sale and confirm the reported sale. They may order the execution and delivery of a deed to the property. The clerk may also issue a writs of assistance to evict any occupants, provided ten days' advance notice is given to such occupants. In North Carolina, a deed of trust foreclosure has several unusual features. First, there must be a preliminary hearing as to whether to foreclose or not. Interested parties must receive notice of the hearing. The clerk of the court, not the judge, holds the hearing. 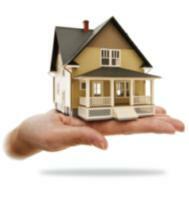 Afterward, a notice of the foreclosure sale must be given; then the sale is conducted. A deposit must be made at the sale. After the sale, however, a very unusual procedure called an upset bid exists. An upset bid consists of making a higher bid than the foreclosure bid within a set time, which will cause the property to go through a resale, which may happen again and again! After the final sale, the sale is reported to the court clerk. Under North Carolina law, a lender or trustee who has the power of sale under a deed of trust may foreclose it by following a statutorily prescribed procedure. At the outset, a hearing must be held before the court clerk (not the judge) to determine whether the foreclosure should take place or not. Notice of the hearing must be served in the manner in which a lawsuit is served, or by certified mail, return receipt requested, or, if no other process to give notice works after diligent effort, then the notice of the hearing can be posted in a conspicuous place on the property that will be foreclosed on. Notice of the hearing must be sent to the borrower, anyone who owes money or could owe money on the loan and every person who has a recorded claim or lien on the real estate that would be affected by the foreclosure. The notice must describe the real estate, give the name and address of the current lender, describe the nature of the default, state whether the loan has been accelerated and mention any right the borrower has to pay to cure the default. The notice must state that the borrower has the right to appear before the clerk of the court at the date and time specified and show cause as to why the foreclosure should not be held. The notice must state that the borrower does not have to appear, and that failure to attend does not preclude the buyer from trying to cure the default or buy at the foreclosure sale. The notice should warn the borrower that the foreclosure buyer will be entitled to possession as soon as the foreclosure buyer accepts delivery of the deed to the property. The borrower is further advised to keep the lender informed as to the borrower's latest address to aid delivery of copies of any subsequent foreclosure notices. The right to receive a notice of hearing may be waived, but only if the debt is over $100,000 and the waiver is in writing and signed in the presence of the witness. When such written waivers are delivered to the court clerk, the clerk may skip the hearing on whether the foreclosure should take place or not. The notice of sale shall describe the loan instruments. It must identify the original borrowers as they are shown in the deed records within ten days prior to the posting of the foreclosure notice. If someone other than the borrower owns or claims ownership of the property in an instrument that has been recorded, then such a person must be mentioned in the notice of the foreclosure sale. The notice must give the date, hour and place of the sale, provided such date, hour and place are consistent with the state law regulating such sales. (More details will follow on the sale itself.) The notice must describe the property and state the terms of the sale and that the property will be sold subject to taxes, special assessments and any other terms required by the deed of trust, which must be specifically described. is named as beneficiary (mortgagee), and ____________________________ as trustee to be mailed to ______________________ at the following address __________________________. If the sale is made to someone other than the lender, or if the lender resells to a good-faith buyer and such a buyer holds the land six months, then a person who did not receive a notice of sale loses the right to challenge the foreclosure. To challenge the sale, the party must post a bond equal to what the lender is owed on the loan against the property. The bond is irrevocable, pending the final decision of the court. A sale shall begin at the time designated in the notice of sale, but never on a Sunday and always between the hours of 10 a.m. and 4 p.m. The sale may be continued or postponed. However, a postponement may only be for good cause, such as bad weather, an excessive number of competing sales, illness or another good reason. The postponement must be announced at the time and place the regular sale would have taken place. A notice of the postponement must be posted on the courthouse door, and be given orally to each party who is normally entitled to notice of a foreclosure sale. The notice has to state the hour and date to which the sale is postponed and the reason for the postponement and it must be signed. The property must be sold at the courthouse door in the county where the land is located, unless the deed of trust provides for a different location. If the deed of trust gives the trustee the authority to designate a place of sale, then the place of sale will be the place the trustee designates on the notice of sale. The deed of trust may require a cash deposit at the sale and set the amount. If the required cash deposit is not specified in the deed of trust, then the trustee holding the sale may require the highest bidder at the sale to pay a cash deposit not to exceed 10 percent of the bid up to $1,000, and 5 percent of the amount by which the bid exceeds $1,000. If the high bidder fails to make the deposit at the sale, then the trustee may immediately re-offer the property for sale to any bidders. A preliminary report of the sale must be made to the court within five days after the sale. The report must give the name of the borrower; the lender; the date, time and place of the sale; recording information about the deed; the name of the foreclosure buyer; the price at which the property was sold and the name of the person making the report. The foreclosure sale proceeds should be used to pay off the costs of the sale, the taxes on the property and any special assessments. Next, the money goes to pay the balance due on the loan, and then to creditors in order of their seniority. Anything left over goes to the borrower, or his or her estate. A special proceeding is available to contest the distribution of the sales proceeds. One of the most intriguing features of North Carolina law is the upset bid on real estate sold at foreclosure. Even after the sale, a potential buyer can come in and make an upset bid. An upset bid is an increased bid whereby a bidder offers to buy the real estate previously sold at foreclosure for an amount exceeding the reported foreclosure sale price by 10 percent of the first $1,000 and 5 percent of the amount over $1,000 of the old foreclosure bid. Such a sum of cash, or a cashier's check, must be deposited with the clerk of the Superior Court, within ten days after the clerk receives a report on the old foreclosure sale. The clerk may also require a bond in the amount of the upset bid price, minus the cash deposit. The clerk may then order a resale of the property. When the clerk offers the property for resale due to the deposit of an upset bid, then the notice of the resale must be posted at the courthouse door for 15 days prior to the sale. A newspaper ad must be published once a week for two successive weeks before the sale. Eight days must separate the two ads. The last ad must be run no less than seven days before sale. A notice of the resale must be mailed to each party. The sale will take place in the same manner as the original sale. Once again, a high bidder will emerge, who may well be the person who put down the upset bid deposit. The entire resale may be done again and again as often as upset bids are submitted! A final report on the sale and the disposition of the proceeds must be given to the clerk by the person who held the foreclosure sale, within 30 days after receipt of the proceeds of the sale. The final report should show what part or parts of the property were sold. The clerk must audit the report and record it. A copy of the notice of sale or resale, and an affidavit of publication should also be recorded. At this point, the sale is final. Special procedures exist to validate foreclosure sales well after they took place when the proper procedures were not complied with, or the trustee was also the lender. It is possible to enjoin a foreclosure sale in North Carolina. A lender may not sue for a deficiency if the loan that went into default was for the purchase price of the real estate. However, in other cases a lender may sue for deficiency, but the borrower has the right in a deficiency suit to prove the reasonable value of the property as a defense or offset to the lender's claims. The borrower is not restricted to forcing the lender to credit only the foreclosure bid against the property; the borrower can instead assert and prove the market value of the property as an offset to a deficiency suit by the lender. Cannot afford Loan Modification or Loss Mitigation? DEED SCAM -DISTRESSED HOMEOWNERS BEWARE!! !